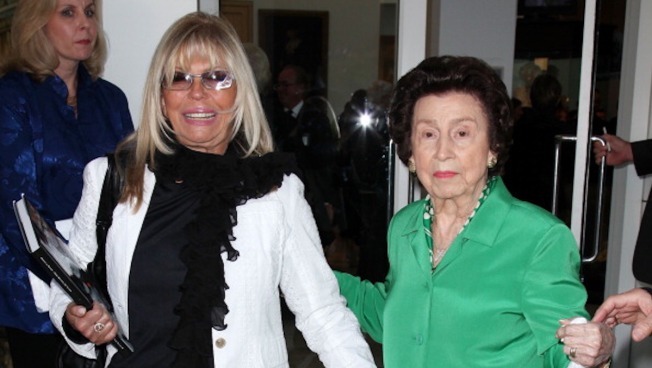 "There is no bitterness, only great respect and affection between Sinatra and his first wife"
In this file photo, Nancy Sinatra Sr. (R) and daughter Nancy Sinatra attend Paley Center & TCM present Debbie Reynolds' Hollywood memorabilia exhibit reception at The Paley Center for Media on June 7, 2011 in Beverly Hills, California. Nancy Sinatra left Frank after his affair with actress Ava Gardner became public knowledge. Weeks after the pair's divorce became final in 1951, Sinatra's ex-husband married Gardner, while Sinatra went on to raise the couple's three children: Nancy, Frank Jr. and Tina.